WOW That's alot of wheatgrass. Looks delicious. 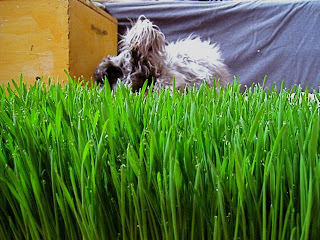 A "Mormon" with a lot of wheat stored in my house, I grow my own wheat grass! My cat loves it too. Just found your blog and luvin it!